Our first visit to Uralla, in 2009, coincided with a giant dust storm which blanketed more than 500,000 square kilometres of eastern Australia in a thick brown haze. Blown across from the inland deserts of New South Wales and South Australia, the cloud of dust spread until it measured 3,450 kilometres in length. We were following the exploits of the notorious bushranger Fred Ward aka Captain Thunderbolt. He roamed the district in the 1860s, holding up travellers and robbing homesteads, hotels and inns until, in 1870, he was shot and killed by a local policeman. 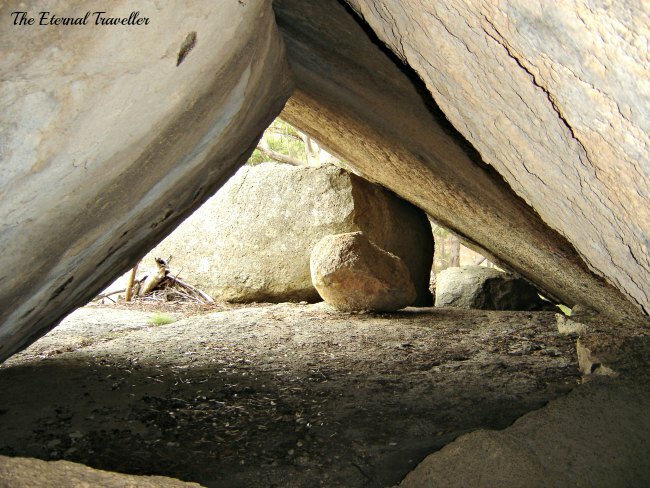 South of Uralla on the New England Highway is a large cluster of granite boulders known as Thunderbolt’s Rock. From this vantage point he would ambush passing stagecoaches, although if the dust storm had happened in his time he wouldn’t have seen them coming. In the spirit of Kevtoberfest, the theme of our second, dust-free visit to Uralla was beer, not bushrangers. The New England Brewing Company, located in a converted woolstore on the main street, has been brewing preservative free, unfiltered beers since 2013. The first time we stopped in Uralla a cold wind was blowing, and this time it wasn’t much warmer. Inside the brewery, the glowing fire in the fireplace was a welcome sight. On Glen’s tasting paddle were the four main brews of the New England brand. His verdict – a tasty selection, ranging from light and refreshing to smooth and dark. One bottle of each was added to the Kevtoberfest stash, a more pleasant souvenir of Uralla than the film of dust we acquired last time. Tenterfield is the northern gateway to the New England Tableland district of New South Wales. 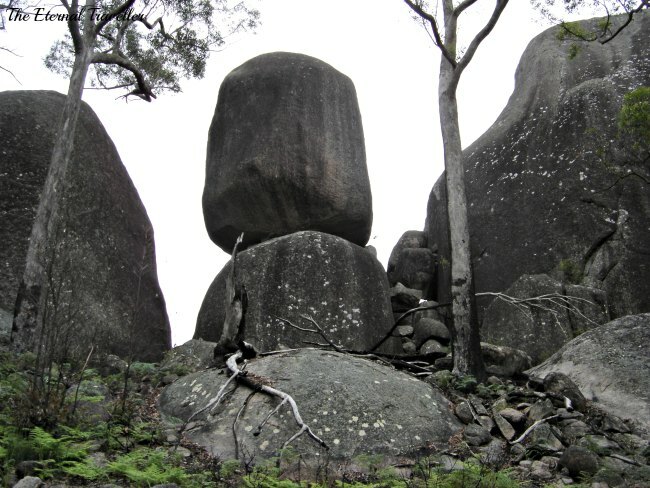 Underlying the area is a layer of blue granite known as Stanthorpe Adamellite, formed after violent volcanic eruptions about 250 million years ago. 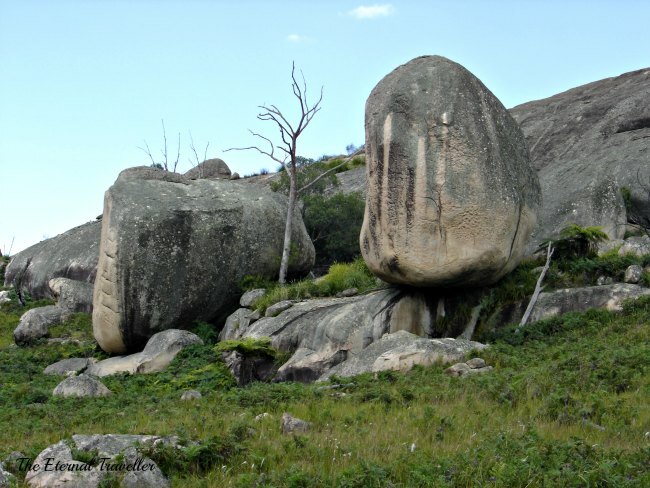 Since then, weathering and erosion have created a dramatic landscape of granite boulders, huge rocky outcrops and sheltered caves with a secretive past, all within an easy drive of the town. The lookout on Mt Mackenzie, half an hour from Tenterfield offers a stunning bird’s eye view of the area. The unsealed road is in good condition and winds through fertile grazing land dotted with large granite formations. Some boulders, bigger than cars, balance inexplicably, while others perch precariously one on top of another. 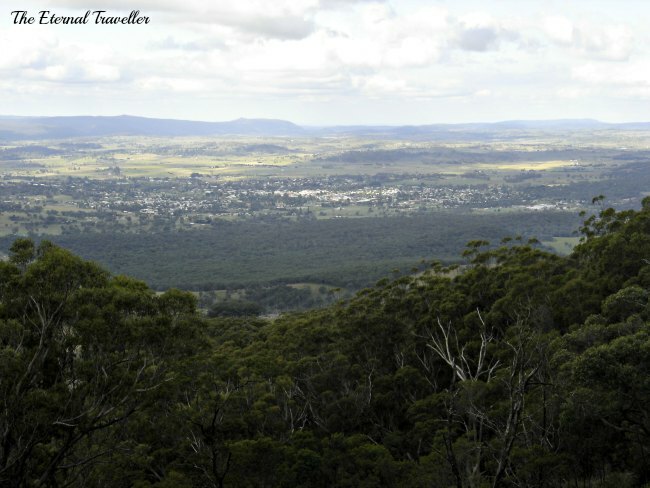 From the top of the mountain, at 1298 metres above sea level, the view takes in the national parks of southern Queensland and northern New South Wales, with Tenterfield nestled in between. 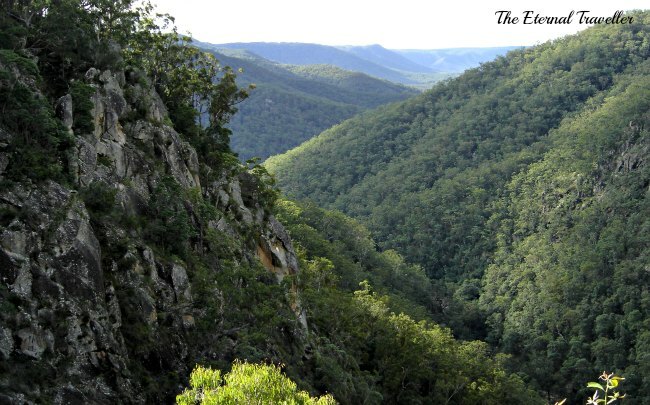 Boonoo Boonoo National Park, 27 kilometres north of Tenterfield, is one of several parks located on the border between Queensland and New South Wales. 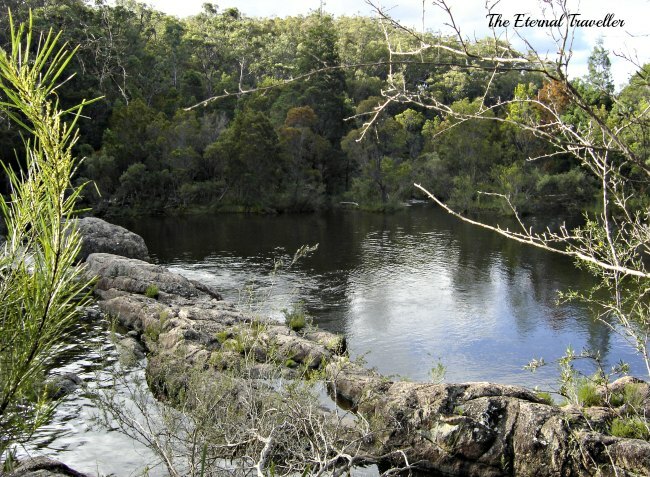 Pronounced ‘Bunna Boonoo’, the park’s name means ‘big rocks’ in the local Aboriginal language, and the river of the same name makes its way over massive slabs of granite to the cliff edge, where it falls 210 metres into the gorge. There are easy walking tracks, shallow rock pools for swimming and plenty of quiet places to sit and listen to the birds or search for delicate wildflowers. The famous Australian poet A. B. ‘Banjo’ Paterson proposed to his sweetheart, a local girl named Alice Walker, at Boonoo Boonoo Falls Lookout before they were married in Tenterfield in 1903. A much more notorious Australian with a connection to the Tenterfield district was Frederick Ward, more commonly known as the bushranger Captain Thunderbolt. In the late 1860s he held up mail coaches and robbed travellers throughout the New England area. 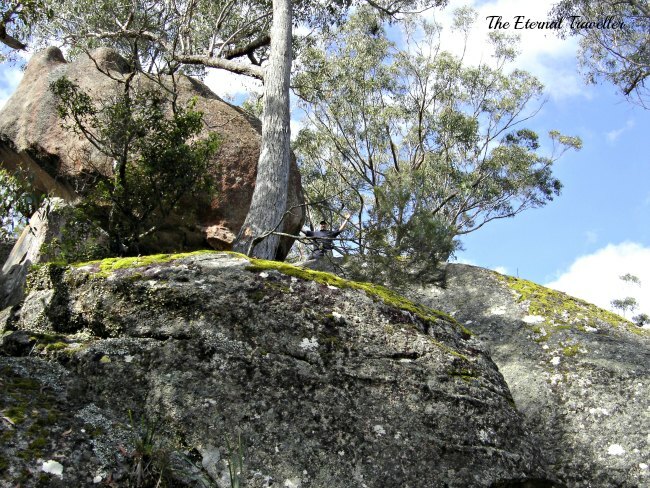 The rocky landscape, with caves high in the hills, provided many hideouts for the bushranger and the one near Tenterfield is easy to visit. It’s an easy walk up to the caves where he sheltered from the weather and the constabulary. The view from the top of the rocks explains why Thunderbolt chose this place; it’s the perfect vantage point to look down onto the main road, along which the mail coaches carried bounty from the gold fields. With a chilly autumnal wind blowing off the top of the rocks it’s not hard to imagine how unpleasant life would have been on the run. I would have made a terrible bushranger! Enter your email address to follow The Eternal Traveller and receive notifications of new posts by email. When Is A Walk Not A Walk?